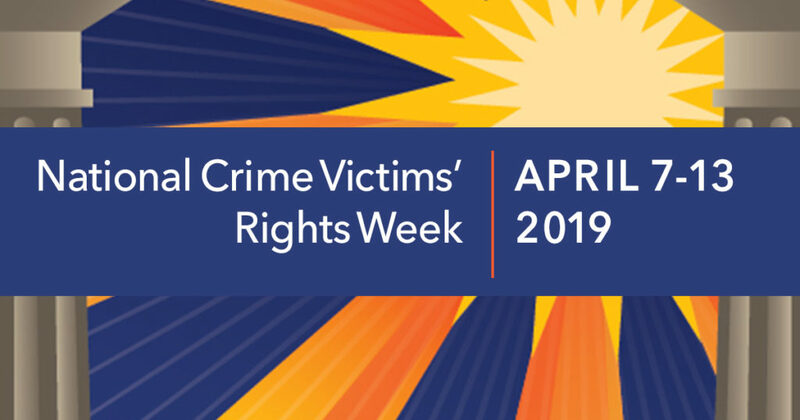 During Crime Victims Week, we recognize that Pennsylvania has come a long way in defending the rights and dignity of crime victims, while acknowledging that more work lies ahead. You can find crime victim resources, including how to file compensation claims and local victim service programs, here. 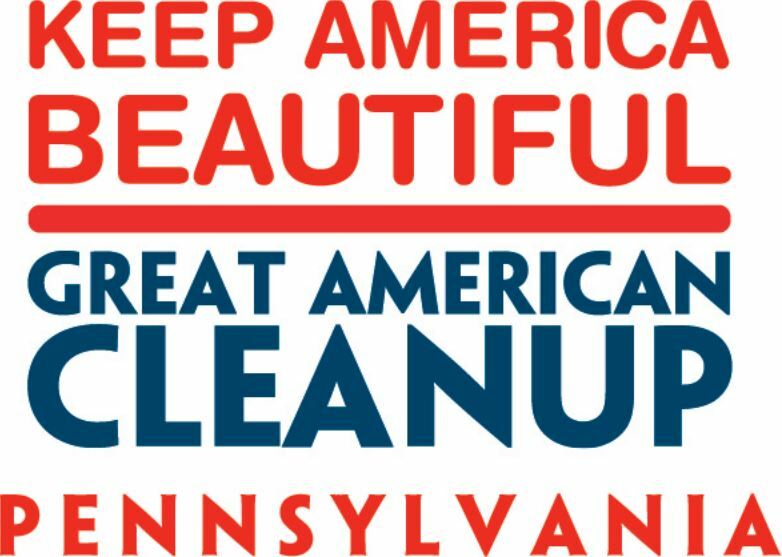 The Great American Cleanup is underway across Pennsylvania through May 31. If your cleanup group registers to pick up trash between April 13 and May 6, you’ll have access to reduced or free trash disposal. 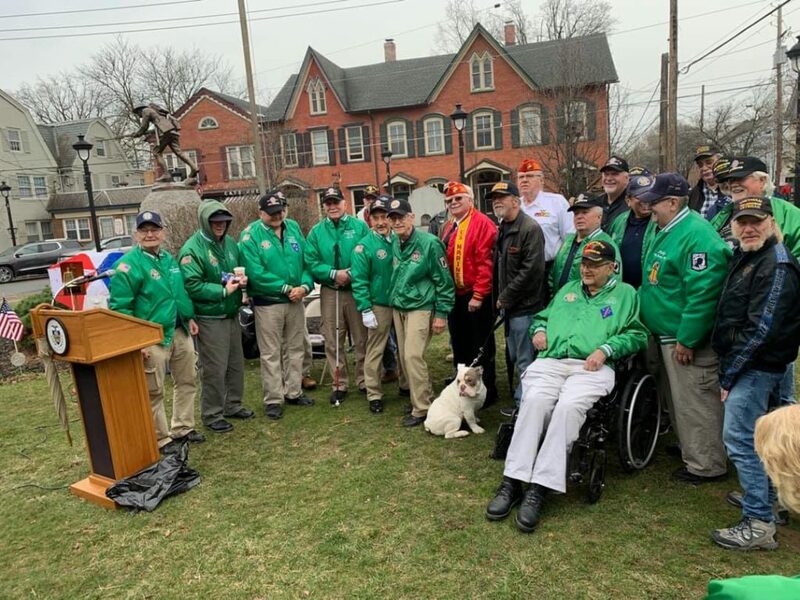 Last year, nearly 130,000 volunteers removed more than 7.2 million pounds of trash from PA roads, shorelines and trails. Flooding is the most common natural disaster in Pennsylvania. If you live near a river or stream, it’s important to know the terms. For example, a flood ‘watch’ means that flooding may occur. Residents should stay alert, closely monitor rivers and streams, and be prepared to move to high ground quickly. A flood ‘warning’ means that there is actual flooding. Residents should act at once and move to high ground. 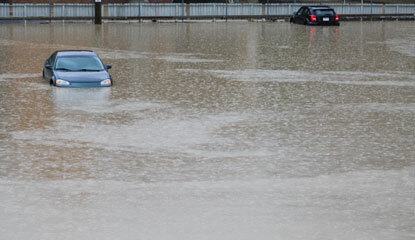 You can learn more about flooding, and how to reduce your risk, here. Applications for disability placards, commercial learner’s permits and more can be accessed via a searchable list of nearly all of PennDOT forms, publications and maps. It’s always exciting to celebrate our local businesses as they grow and prosper. 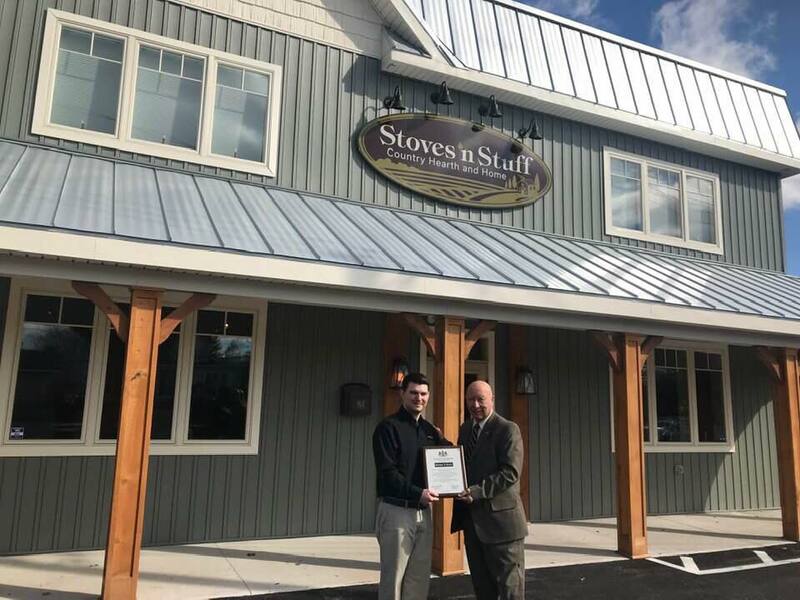 Stoves ‘n Stuff, Ltd. recently celebrated the grand opening of their new location at 914 North 9th Street in Stroudsburg. A simple walk through their store quickly shows their commitment to quality products and service. We wish you much success! 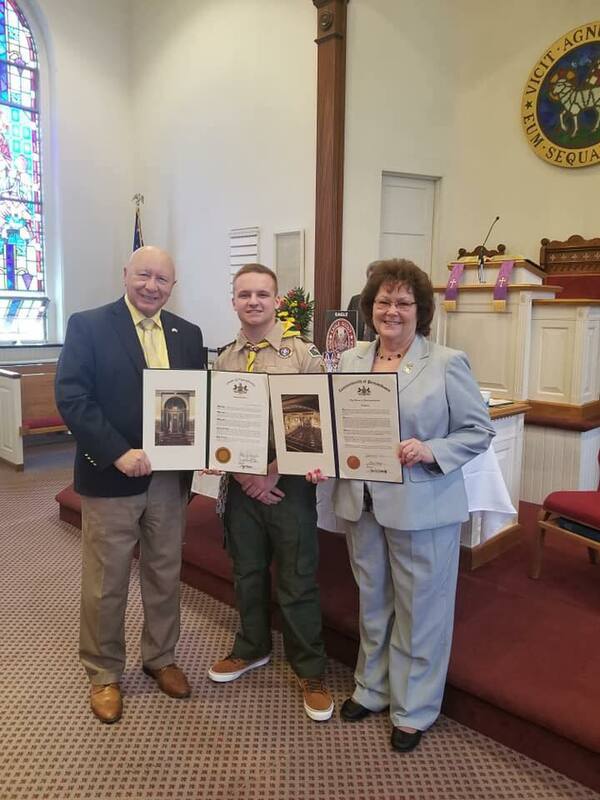 This past weekend we recognized two young men for earning the rank of Eagle Scout – Heath Gagner of Troop 74 in Bushkill Township and Roger Perkowski III of Troop 85 in Tannersville. Thank you both for demonstrating the highest ethic of service to our communities. 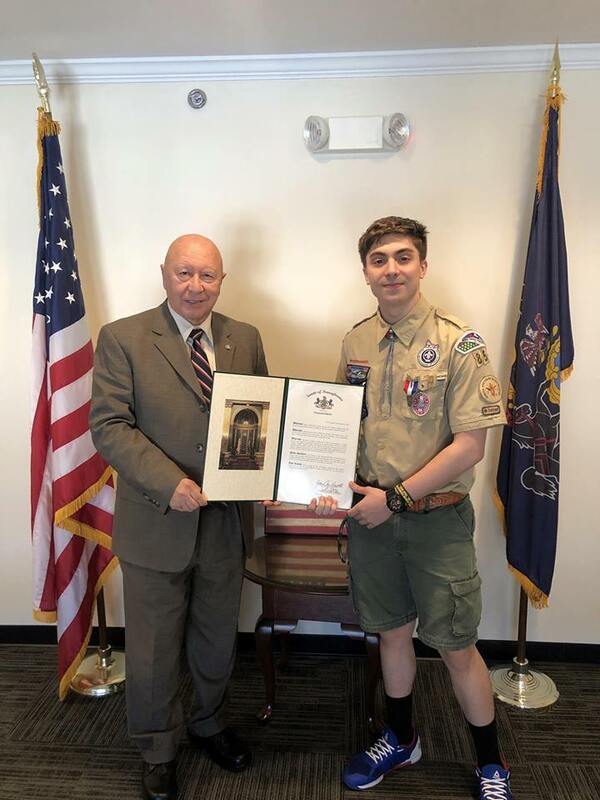 For his Eagle project, Heath designed and built a fire pit and stage area for Schoeneck Moravian Church, including rock flooring, a stacked rock wall and crucifix. Roger added raised garden beds, soil and plants to the Major Paul Syverson Veterans Sanctuary in Jonas.